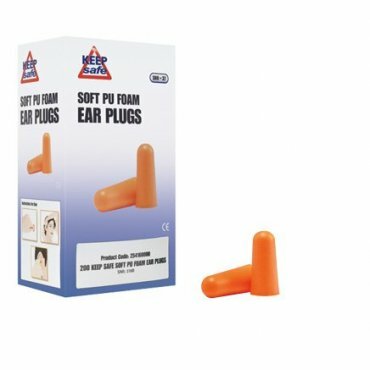 Keep Safe ear plugs. Soft orange PU foam. SNR37 EN352-2. Box of 200 pairs.